Recently a friend of mine adopted a new born baby boy. She and her husband were surprised with his arrival because they found out on a Wednesday that they were going to get a baby on Saturday. That’s fast! Barely enough time to get some essentials together, let alone anything extra. I wanted to send her something that I used with Thor and loved. So I made a DIY car seat cover. A car seat cover is not technically essential, but I like to think it is. 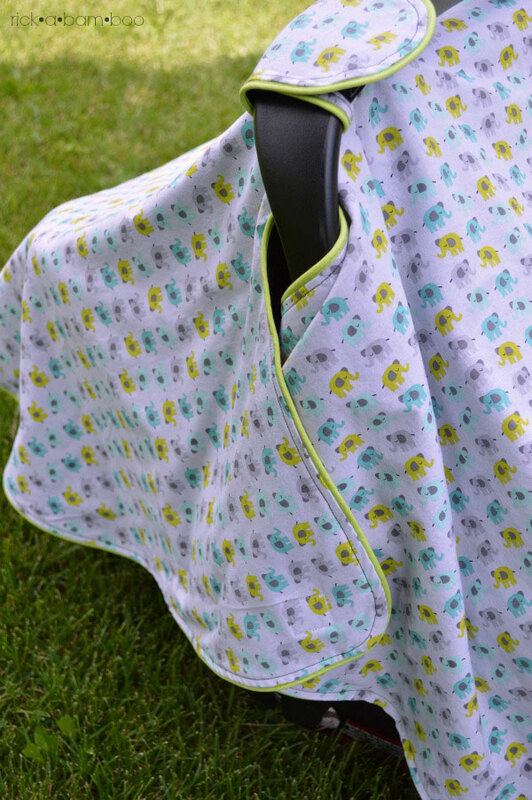 They are great for giving your baby some nap time privacy as well as protecting them from the elements when going to and from the car. My mom made one for me when I had Thor. 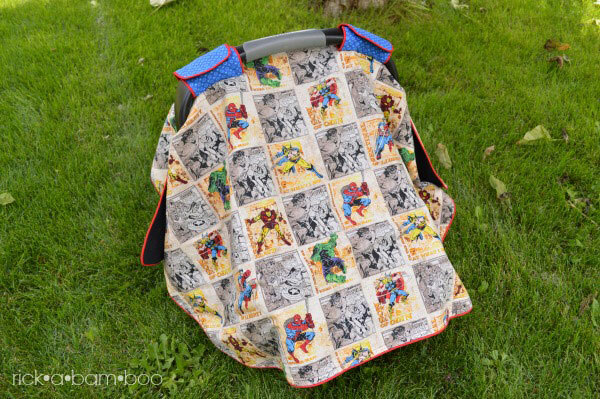 It has Marvel heroes on it. I loved it. I can’t tell you how many time I was stopped and asked where I got my awesome cover. My mom used contrasting fabric for the handle straps and trimmed the whole thing with red piping. I made this cute elephant one for my friend. It found this adorable fabric over at Joann’s. I bought all they had left on the bolt, which just so happened to be just enough for this project. I trimmed it with lime green piping. Making them is the only way to go in my opinion. First of all, there aren’t very many boy patterned covers out there. If you like chevron or dots then you are set, but if you want something a little different they are nearly impossible to find. 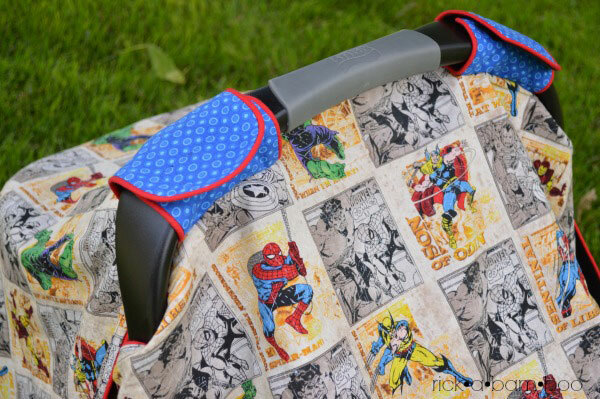 Secondly, this cover is designed to hug the car seat, not just lay over the top. 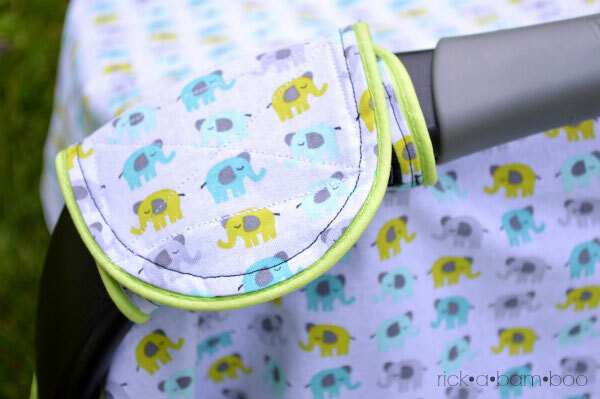 It velcros around the carseat so the flaps won’t fly up in the breeze. This wonderful cover was designed by Angel over at Fleece Fun. The pattern is free and the tutorial is very easy to follow. It makes a great baby shower gift if you know anyone who is expecting. Or it’s a great gift for yourself if you have a little one. The only thing that I changed from the original pattern was to use a wider velcro for the straps. 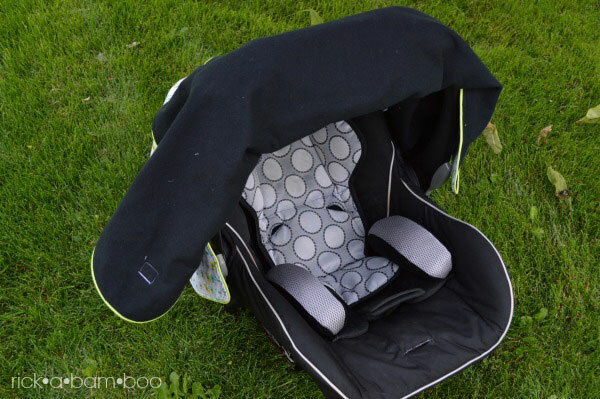 The wider velcro allows for a tighter hold on the handle of the car seat. 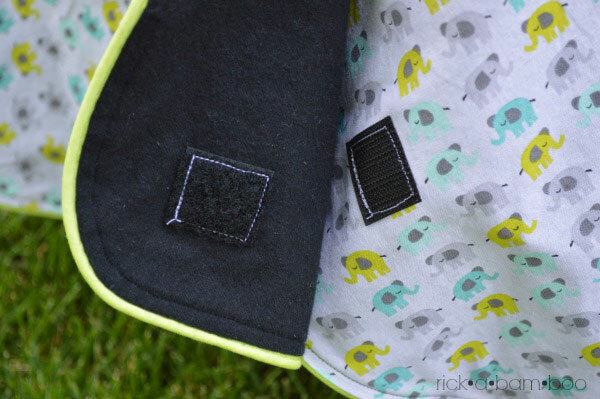 The tutorial is made using fleece for the outside and flannel for the inside. My cover and the one that I made for my friend both used cotton for the outside and black flannel for the inside. The black makes it a little darker and cozier in there. Perfect for napping little ones. It will work with just about any fabric you like. Do you know a little one who could use one of these? I’ve made one of these before, but I love how this one has velcrow on the sides! Also love the comics one! Hahaha! I know right? And I could just cover up and nap while someone pushes me around in a shopping cart. That would be the life. 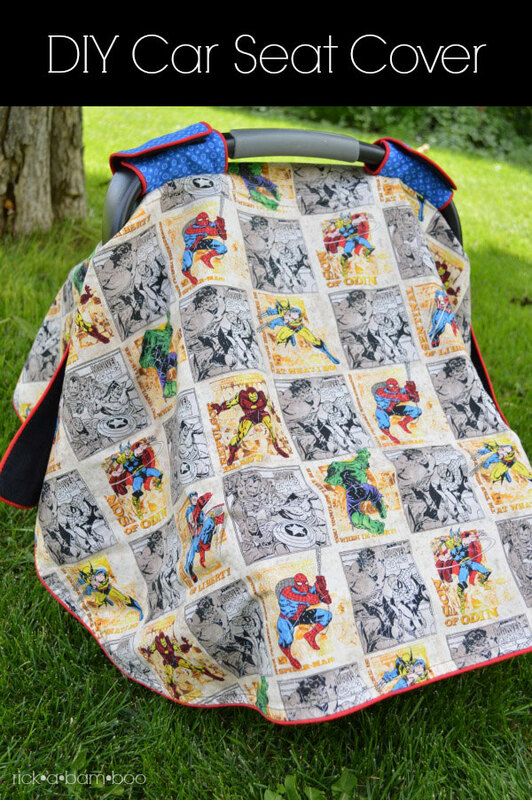 This is a GREAT car seat cover. Thank you for the sweet gift. From the Velcro to the lime green piping, this thing is amazing! So glad you thought of us. do you make these for people? I would love one! Hahaha. So would I Trista. So would I. Love this. I will make one for my next grandbaby.